The Knox Morrow Athletic Conference recently released its all-league teams. Morrow County finished with a number of first-team recipients. In boys’ basketball, Blake Miller of Northmor, Mack Anglin of Highland and Mason Mollohan all were first-team picks. Also, Highland’s Chris Powell was named the Coach of the Year after leading the Scots to a league title. 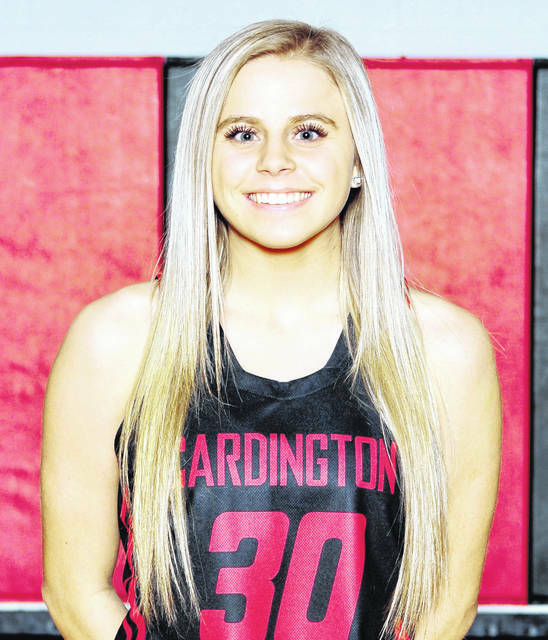 In girls’ basketball, Madison Cecil of Highland, Madison Fitzpatrick of Mount Gilead and both Casey Bertke and Kynlee Edwards of Cardington were selected to the first team. Edwards also was named the Player of the Year, while Pirate coach Jamie Edwards was selected Coach of the Year after claiming a league title. 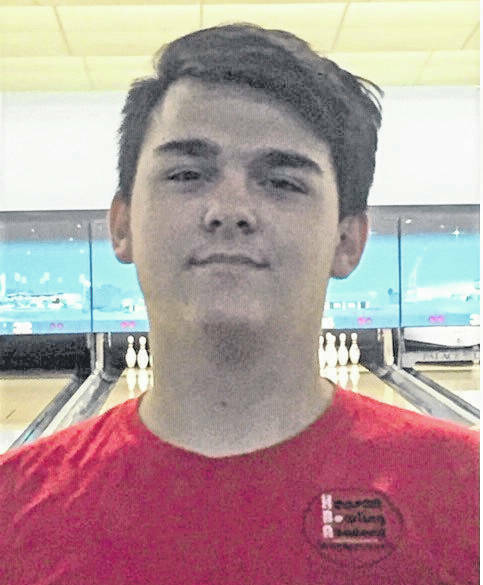 Brennen McLaughlin, Ben Rinehart and Tyler Disbennett of Highland were first-team boys’ bowlers, as were Dylan Dixon and Zac Sellers of Mount Gilead and Ryan Speck of Cardington. Cardington won the league and the KMAC tournament as coach Tim Edgell earned Coach of the Year honors. Highland’s Rinehart also was selected as All Academic. In girls’ bowling, Laynee Wilson and Addie Wilhelm of Cardington were joined by Maddie Hoverland of Northmor, Autumn Burson and Courtney Weikel of Highland and Madison Noble of Mount Gilead as first-team selections. 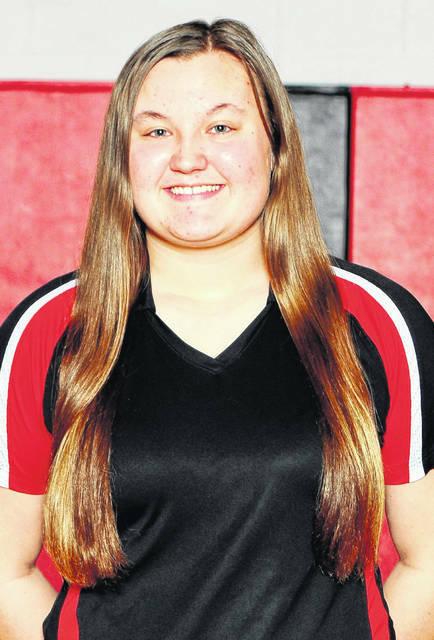 Erin Conner of Highland was named All Academic, Cardington’s Wilson was the Player of the Year and Pirate coach Morgan Edgell was selected Coach of the Year after her team tied Fredericktown for the league title and then won the conference tournament. For wrestling, Northmor’s Dale Brocwell, Trenton Ramos, Gavin Ramos, Tony Martinez and Conor Becker were all first team picks, as were Kaden Miller and Christian Miller of Highland and Nate Weaver, Andy Williamson and Brandon Strickland of Mount Gilead. Becker was named Wrestler of the Tournament, while Northmor coach Scott Carr and Highland coach Adam Gilmore shared Coach of the Year honors. For middle school sports, Centerburg won the seventh grade girls’ basketball tournament and Mount Gilead won the eighth grade title. Highland won the seventh grade boys’ basketball tournament and Fredericktown claimed the eighth grade championship. Following are the complete all-conference teams. First Team: Blake Miller, Northmor; Mack Anglin, Highland; Corbin Hazen, Danville; Weston Melick, East Knox; Nick Cunningham, Fredericktown; Mason Mollohan, Mount Gilead; Carter Jones, Centerburg. Second Team: Jackson Huffer, Mount Gilead; Lincoln Cunningham, Fredericktown; Andrew Wheeler, Highland; Hayden Hankinson, Centerburg; Trey Brininger, Cardington; Dylan James, Danville. Honorable Mention: Skyler Moore, Danville; Danny Vaught, Cardington; Anthony Gilmore, East Knox; Jake Partington, Fredericktown; Chase Carpenter, Highland; Nick Dyer, Mount Gilead; Cole Dille, Northmor; Mick Mead, Centerburg. All Academic: Nick Cunningham, Fredericktown; Coach of the Year: Chris Powell, Highland; Player of the Year, Carter Jones, Centerburg. First Team: Madison Cecil, Highland; Madison Fitzpatrick, Mount Gilead; Casey Bertke, Cardington; Savannah Gammell, Centerburg; Meggan Bartok, East Knox; CeCe Newbold, Danville; Kynlee Edwards, Cardington. Second Team: Addie Farley, Northmor; Paige Clinger, Cardington; Holly Gompf, Mount Gilead; Gena West, Highland; Sophie Lester, Fredericktown; Ally Bower, Danville. Honorable Mention: Hannah Wickline, Cardington; Grace Mulpas, Centerburg; Brooklyn Hess, Danville; Alexandria Magers, East Knox; Olivia Mast, Fredericktown; Raven Tilford, Highland; Dakota Shipman, Mount Gilead; Julianna Ditullio, Northmor. All Academic: Sophie Lester, Fredericktown; Player of the Year: Kynlee Edwards, Cardington; Coach of the Year: Jamie Edwards, Cardington. First Team: Cody Climer, Centerburg; Brock Hurtt, Centerburg; Brennen McLaughlin, Highland; Ben Rinehart, Highland; Ryan Speck, Cardington; Dylan Dixon, Mount Gilead; Zac Sellers, Mount Gilead; Tyler Disbennett, Highland. Second Team: Joey Fraley, Fredericktown; Tyler Kintz, Cardington; Eric Hamilton, Cardington; Damian Meyer, Mount Gilead; Justin Zollars, Fredericktown; Dylan Farrell, Mount Gilead; Tyler Bailey, Northmor; Bryan Hockenberry, East Knox. Honorable Mention: Michael George, East Knox; David Workman, East Knox; Griffin Wayne, Fredericktown; Joe Baldinger, Northmor; Bob Guiler, Northmor. All Academic: Ben Rinehart, Highland; Coach of the Year: Tim Edgell, Cardington; Player of the Year: Cody Climer, Centerburg. First Team: Laynee Wilson, Cardington; Hannah Vaughn, Fredericktown; Addie Wilhelm, Cardington; Maddie Hoverland, Northmor; Jordan Climer, Centerburg; Autumn Burson, Highland; Courtney Weikel, Highland; Madison Noble, Mount Gilead. Second Team: Paige Hicks, Highland; Erin Conner, Highland; Morgan Lehner, Cardington; Leah Staton, Fredericktown; Makenna Andrew, Fredericktown; Aubrey Clippinger, Centerburg; Kahlan Ball, Northmor; Sophia Compton, Centerburg. Honorable Mention: Catherine Elfrink, Centerburg; Tory Carver, Northmor; Paris Frazee, East Knox; Mayah Scott, East Knox; Carylee Daniel, East Knox. All Academic: Erin Conner, Highland; Coach of the Year, Morgan Edgell, Cardington; Player of the Year, Laynee Wilson, Cardington. First Team: Dale Brocwell, Northmor; Kaden Miller, Highland; Trenton Ramos, Northmor; Gavin Ramos, Northmor; Donnell Marshall, Centerburg; Nate Weaver, Mount Gilead; Tony Martinez, Northmor; Christian Miller, Highland; Andy Williamson, Mount Gilead; Brandon Strickland, Mount Gilead; Conor Becker, Northmor; Michael Herbst, Fredericktown; Jacob Sheets, Elgin; Dylan Wilson, Danville. Second Team: Cory Fricke, Mount Gilead; Griffin Workman, Northmor; Gavin DeAngelo, Highland; Draven Hubley, Cardington; Cody Matthews, Highland; Niko Christo, Northmor; Tyler DeLucia, East Knox; Jesus Rubio, Mount Gilead; Eli Grandstaff, Highland; Triston Hinkle, Highland; Gene Fitzpatrick, Fredericktown; Ryan Pasma, Elgin; Brandon Planey, Northmor; Hunter Brookover, Northmor. Honorable Mention: Jacob Belt, Cardington; Austin Amens, Northmor; Damien Daniel, Highland; Zachary McCallen, Mount Gilead; Eli Davis, Northmor; Donovan Weddell, Elgin; Stephen Schmitt, Centerburg; Justin Dendinger, Mount Gilead; Gavin Whited, Northmor; Jayson Herbst, Fredericktown; Chris Pumphrey, East Knox. Coach of the Year: Adam Gilmore, Highland, and Scott Carr, Northmor; Wrestler of the Tournament: Conor Becker, Northmor.